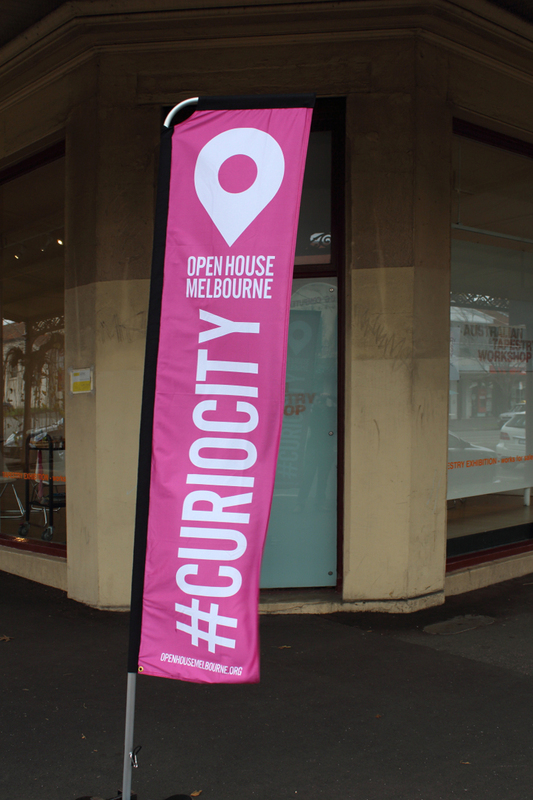 Once again Open House Melbourne has come and gone for another year and once again I took the opportunity to volunteer. 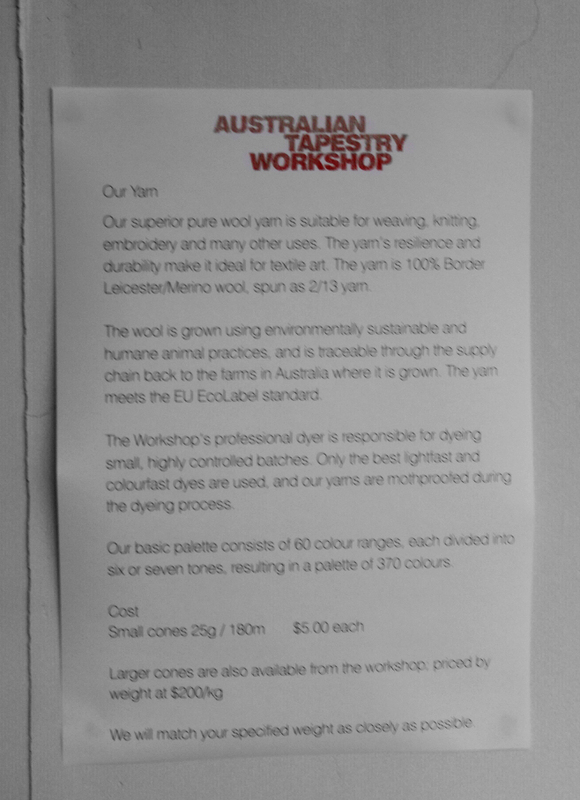 Having been assigned the Australian Tapestry Workshop as my building for the Saturday morning shift, I had no idea what to expect as I wasn't even aware of its existence and I'm probably not alone in that respect. 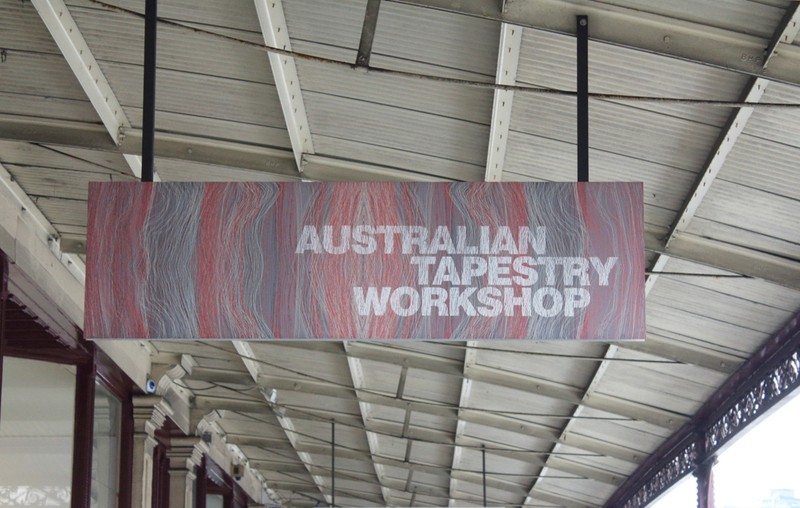 Occupying a National Trust and Heritage listed building at 262-266 Park St in South Melbourne, the Australian Tapestry Workshop is the only studio of its kind in the country and also one of only a few worldwide for the production of hand-woven, contemporary tapestries. 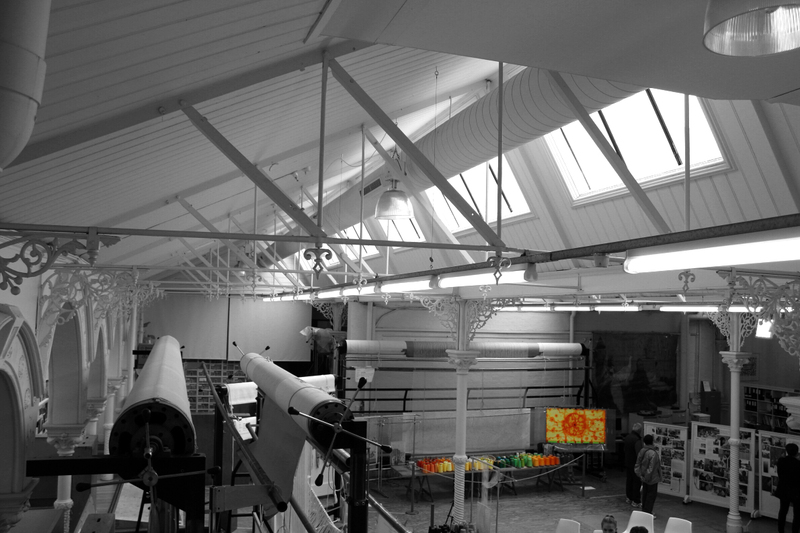 Originally built in 1885 to plans drafted by architect TJ Crouch, as a drapery establishment Harcourt and Parry Emporium, before being adapted for use as Patross Knitting Mills. 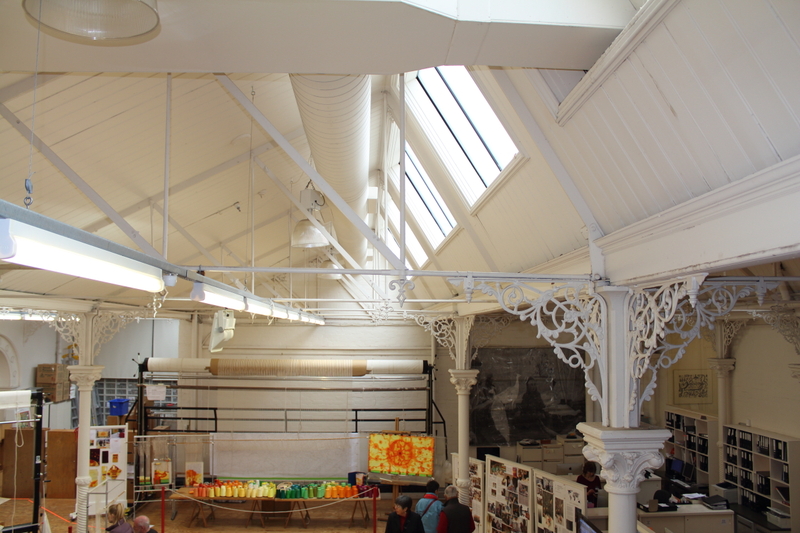 A renovation by Peter Carmichael in 1976 transformed the formerly derelict and dingy factory space into a spacious, light filled studio; a perfect home for the Victorian Tapestry Workshop, now known as the Australian Tapestry Workshop. 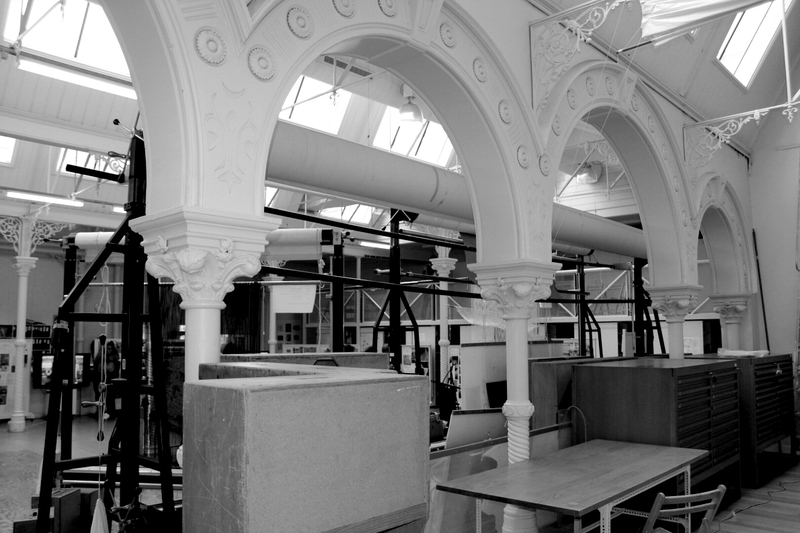 The most recent spate of works were carried out in 1999 by Peter Williams of Williams Boags Architects. 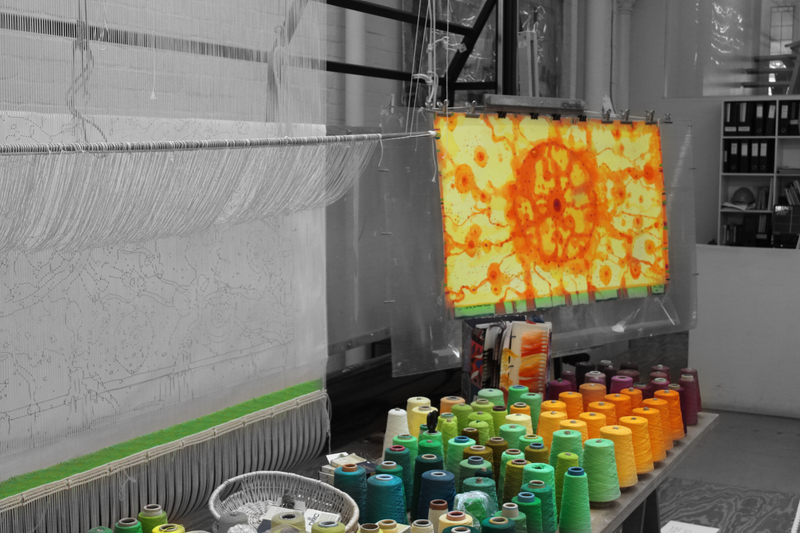 Visitors to the Workshop experience a vibrant setting with multi-coloured yarns lining the walls and weavers seated at many looms creating new artworks. 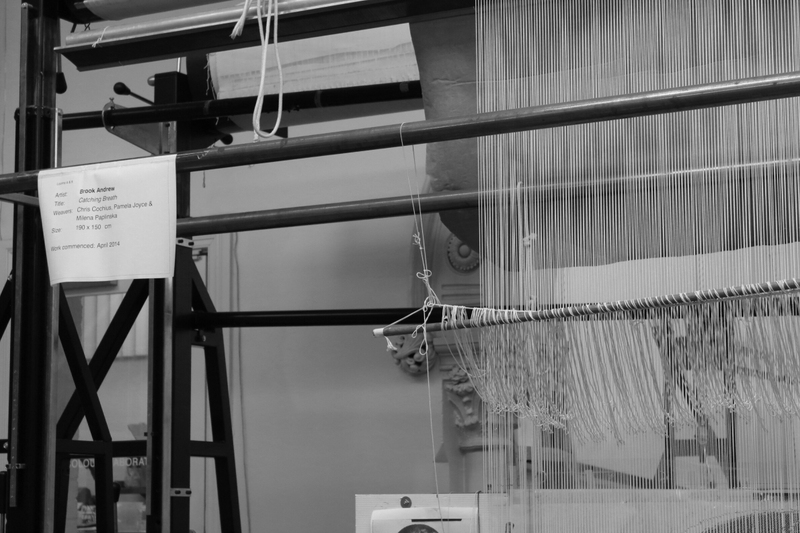 Ranging from miniature to monumental, the tapestries are woven using the finest Australian wool, which is specially dyed onsite to a unique palette of 370 colours. 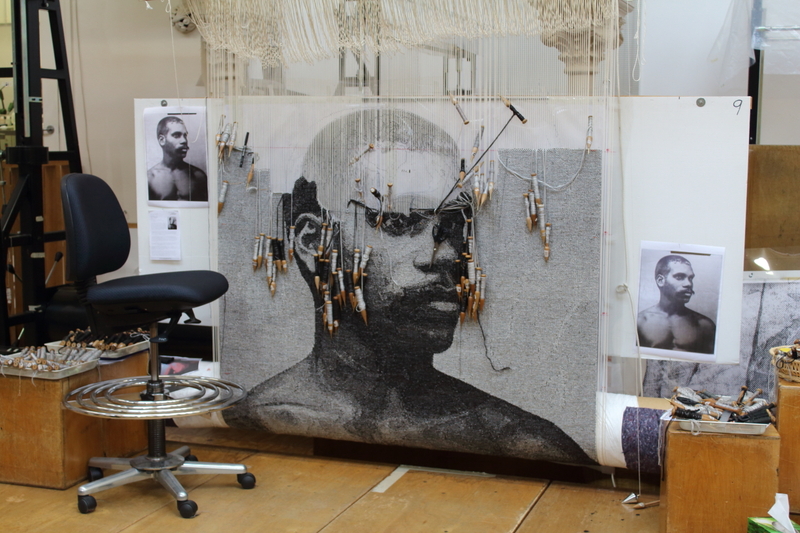 Most of the Workshop's tapestries have been specially commissioned and hang in significant public buildings and collections. 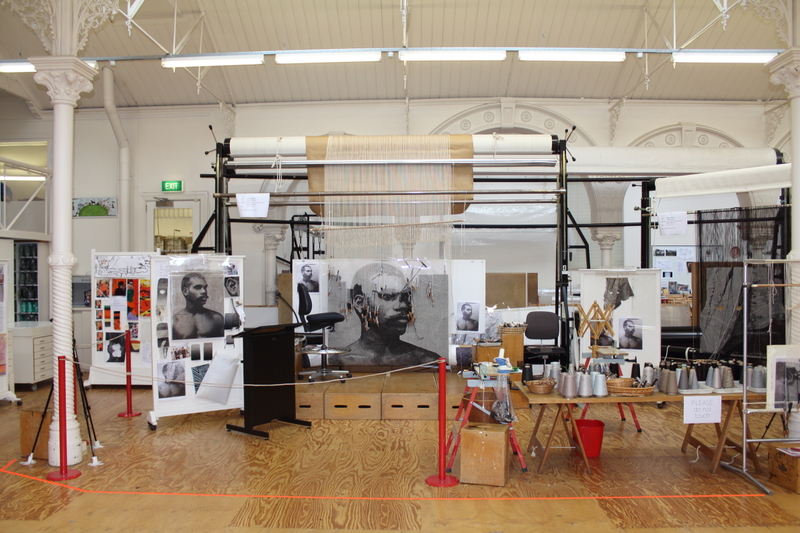 Outside of Open House Melbourne, the Australian Tapestry Workshop is open to the public from Tuesday to Friday, 10am-5pm ($5 studio viewing, no charge for gallery viewing). 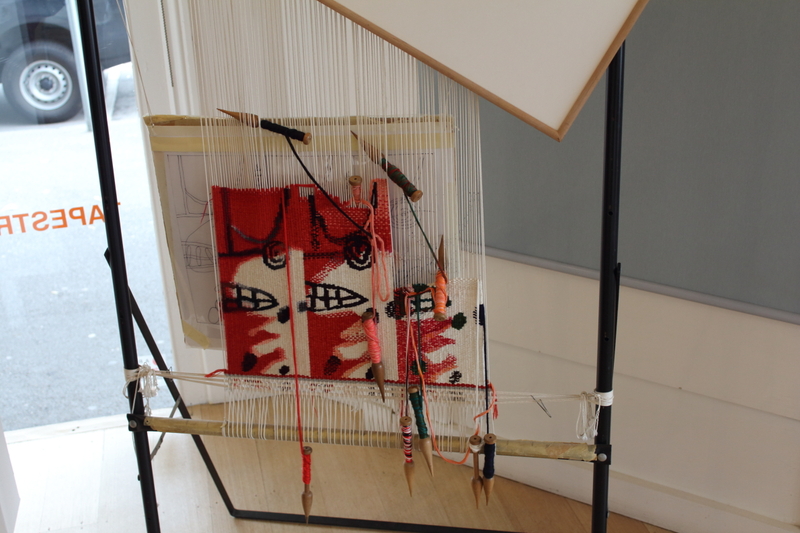 The public are welcome to browse through the collection of small and large tapestries, and the retail shop stocking the workshop's exclusive range of yarn, 370 colour shades and tones, as well as cards and books featuring recently commissioned tapestries and highlights from past commissions. 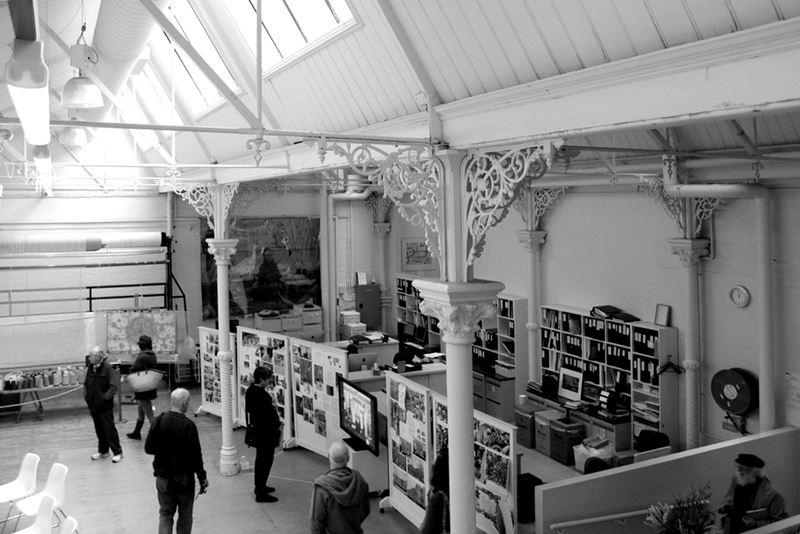 I can honestly say I was pleasantly surprised and very impressed by the fantastic spaces and architecture, filled with a rich and diverse body of work at various stages in their development. 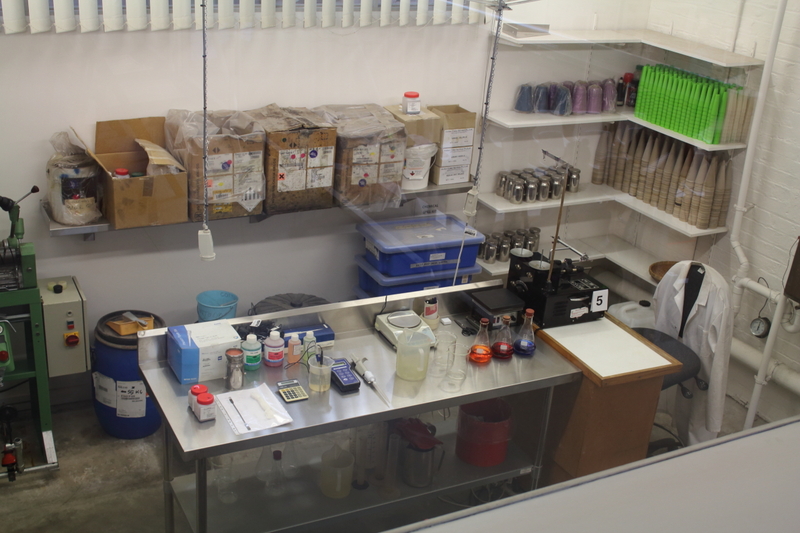 I thoroughly enjoyed my experience and would like to say a big thank you to the wonderful staff. For more information check out their website and be sure to follow them on Twitter and Instagram. In the meantime, please enjoy my photos from Saturday afternoon. 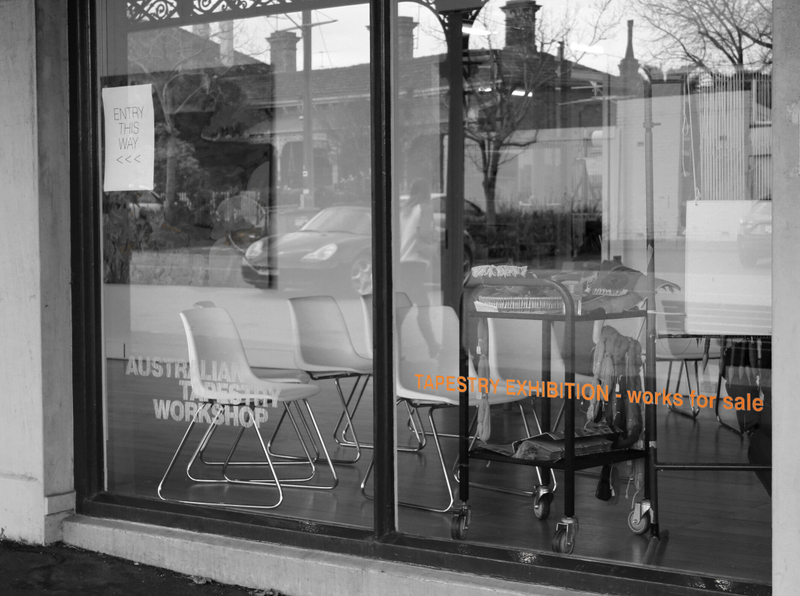 First part of the tour started with a presentation in the exhibition space off Perrins St. 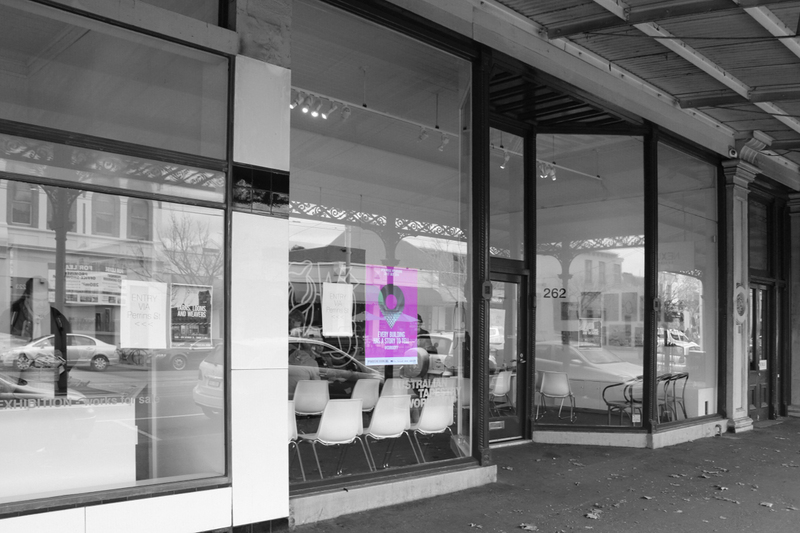 The space looks even more beautiful in black and white. 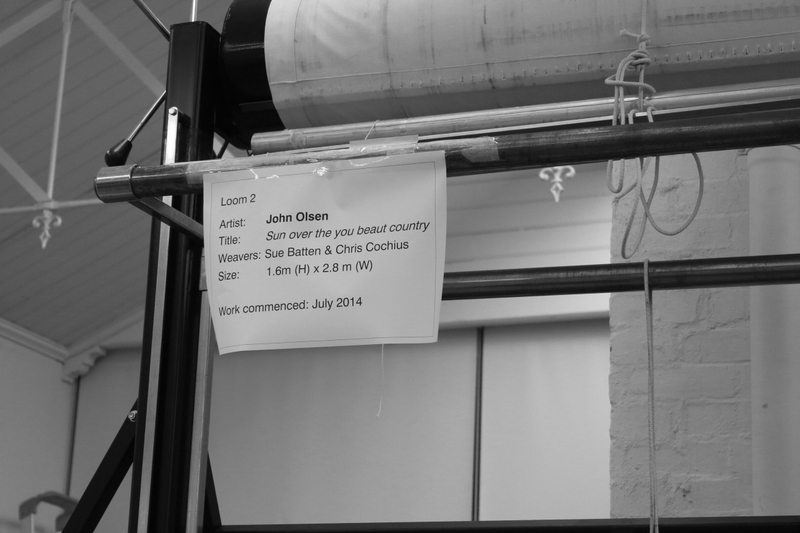 John Olsen artwork highlighted. 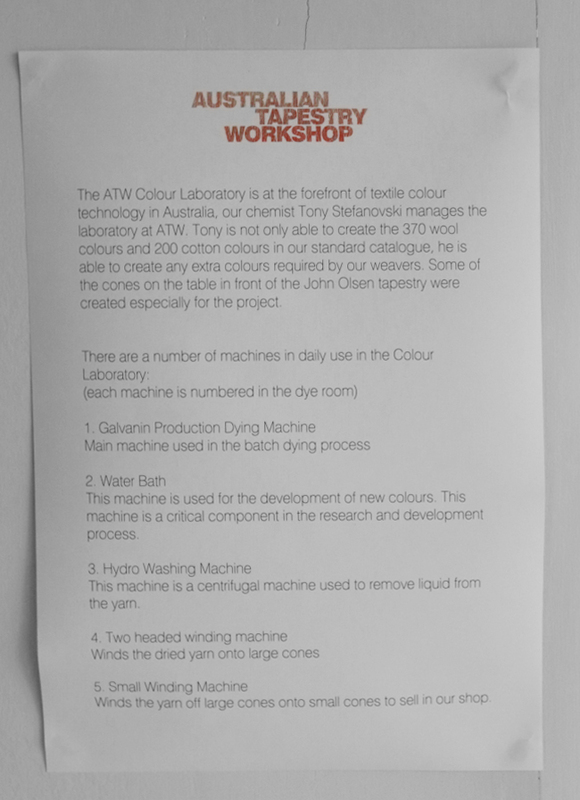 An overview of the Colour Laboratory. 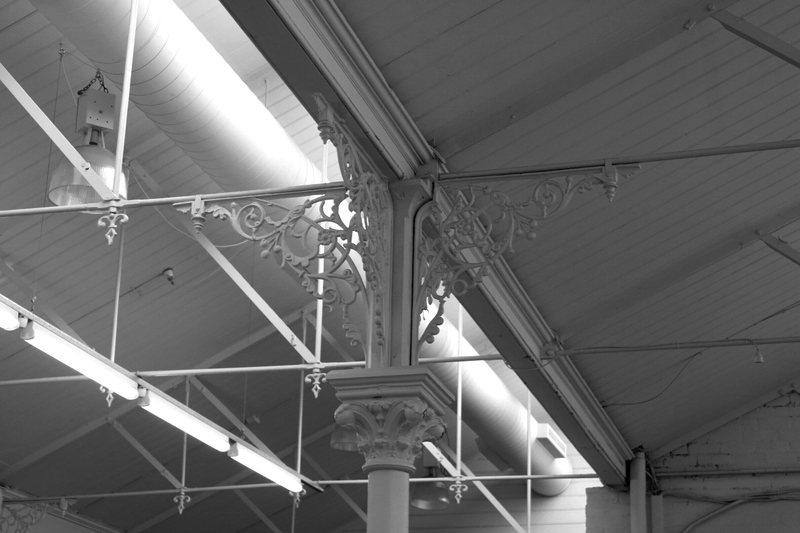 A close up look at the ornate detailing of the columns and roof structure. 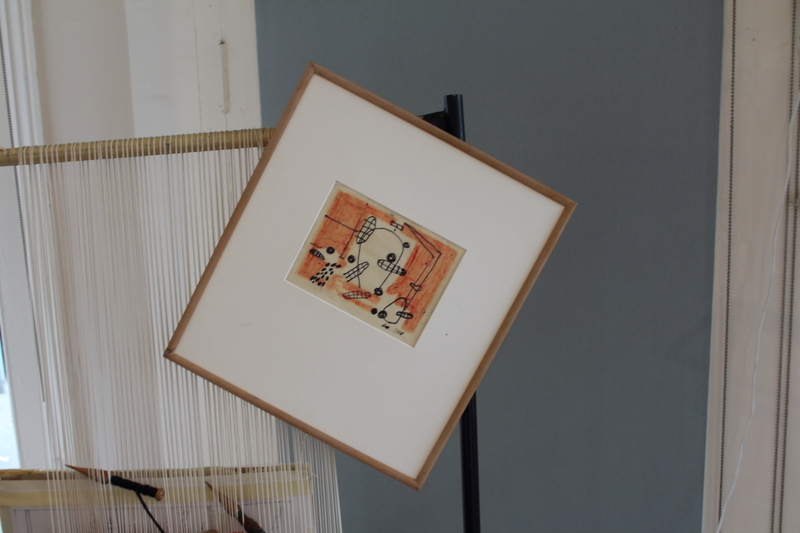 John Olsen artwork awaiting conversion. A work in progress now into its fourth month. 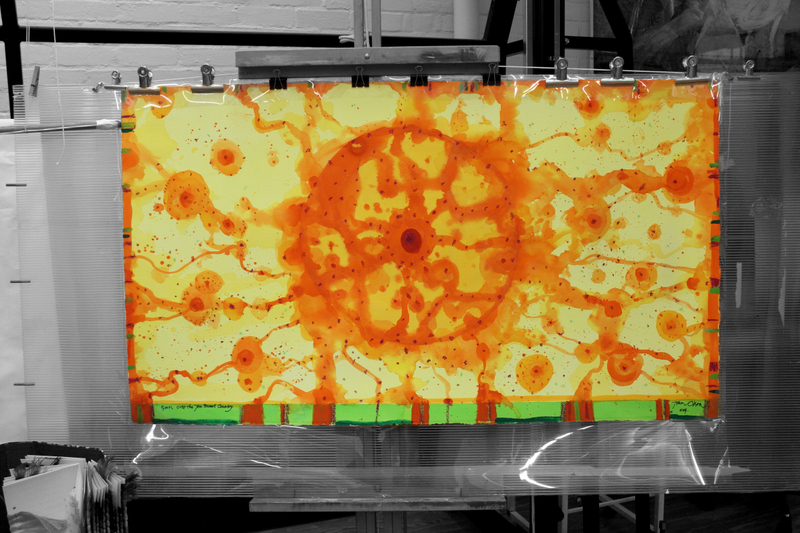 Upon completion this artwork is set to take pride of place in an Australian Embassy. It is 1 of 9 commissioned. It's not just the steel work and tapestries that look good. 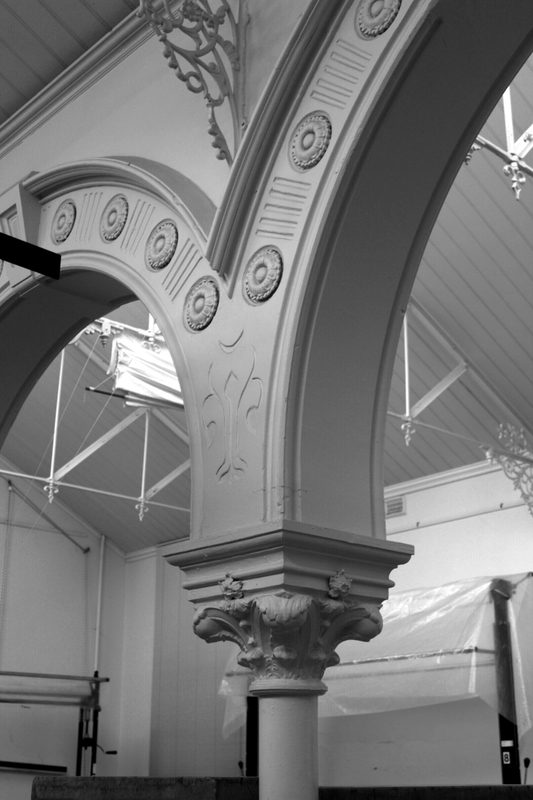 One of the archways close up. 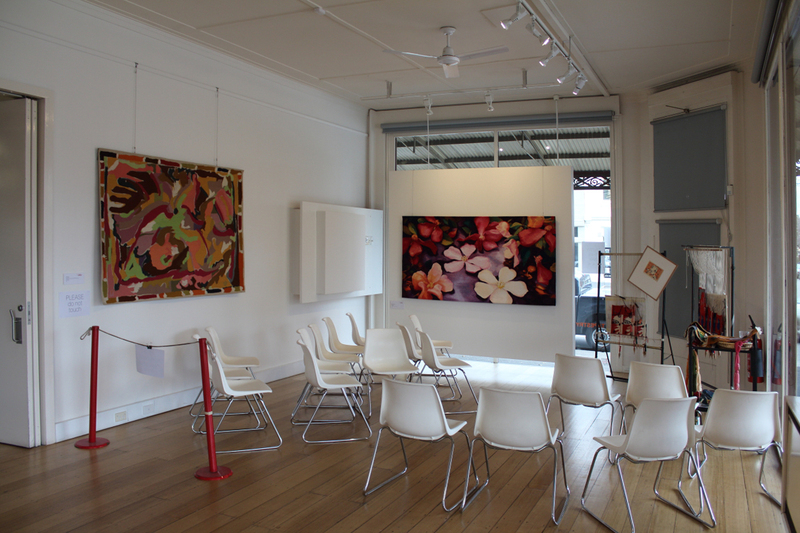 The artworks on display can be purchased.